Henry Manne was one of the early proponents of the study of law and economics. He founded the Center for Law and Economics, now at George Mason University, and has directed scores of law and economics seminars attended by economists, judges, lawyers, educators, and policy makers. 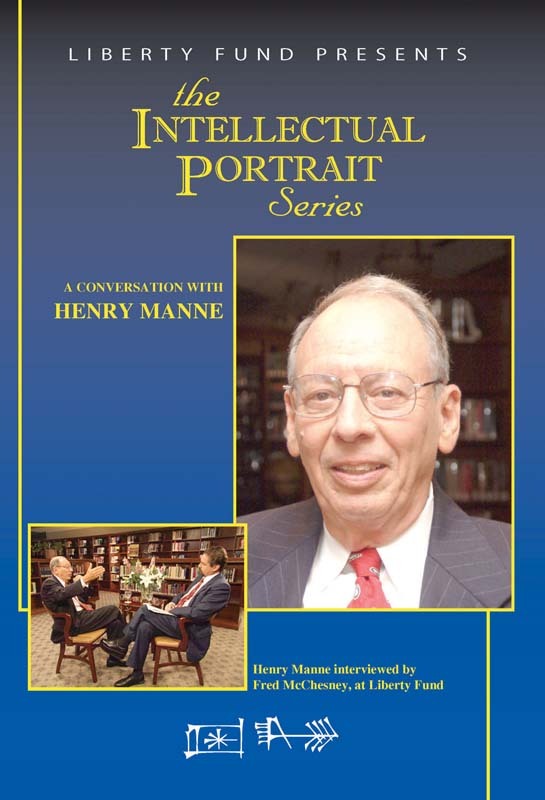 Manne’s book Wall Street in Transition redefined the commonly held theory of the corporate firm and brought unprecedented criticism from the Securities and Exchange Commission, which later came to embrace some of his views. His book Insider Trading and the Stock Market jolted the conventional wisdom of its day. His articles in Barron’s and the Wall Street Journal sparked debate of governmental policy, and his remaining canon traces a true portrait in the quest for classical liberty. DVD. © 2006. 87 minutes.